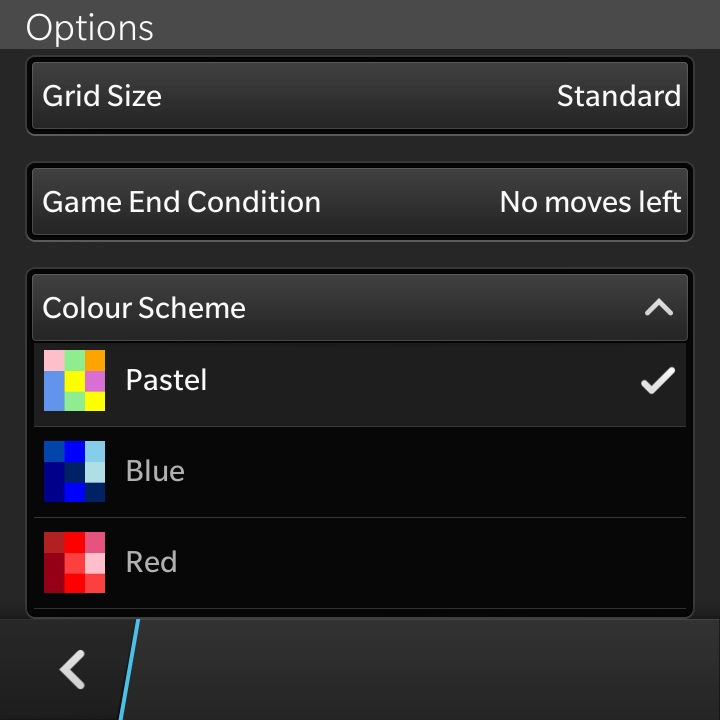 Pixelated and Pixelated Plus have been updated to version 3.4 for all BlackBerry 10 phones. 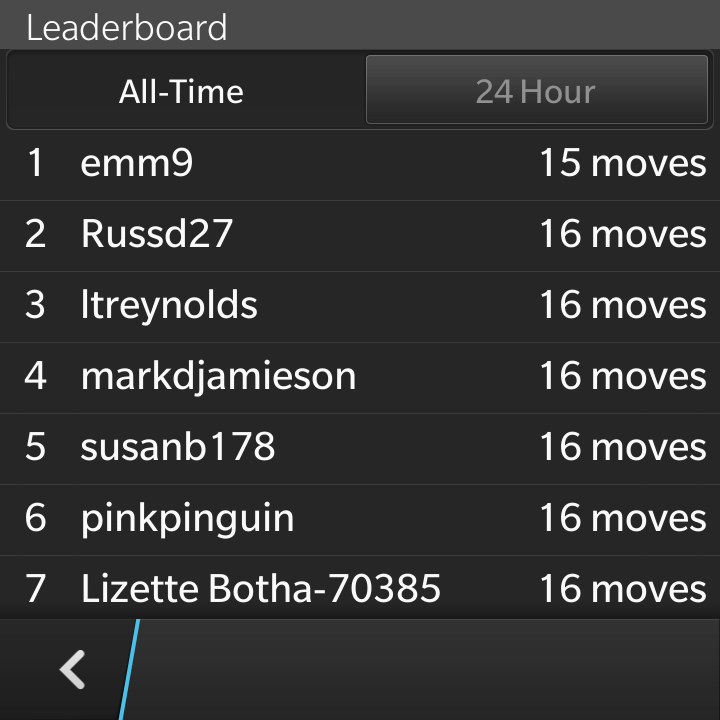 This version adds support for the BlackBerry Q10, adds a second leaderboard for scores posted in the past 24 hours, integrates with BBM profile boxes, and improves the options for sharing your best scores in the app to social networks. 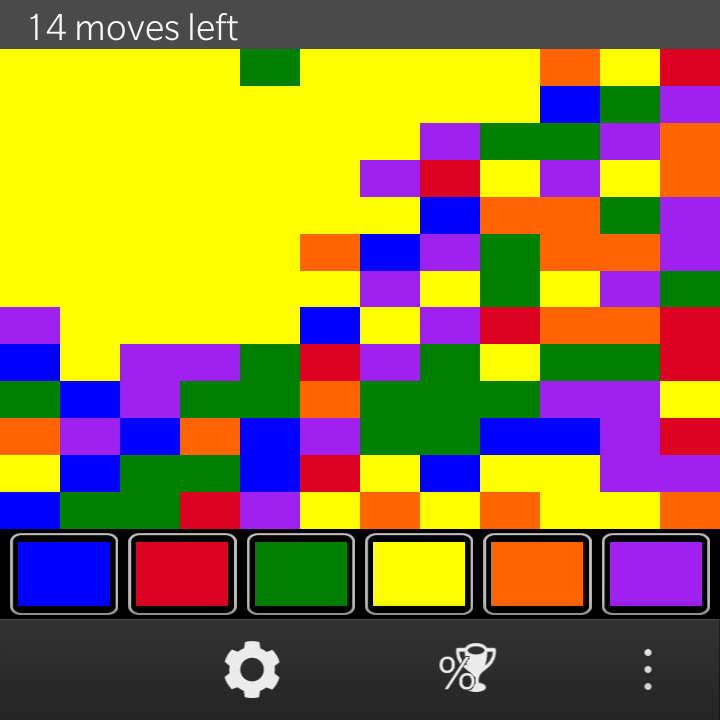 Pixelated is an addictive puzzle based strategy game that requires a mixture of skill and luck in order to accomplish. The object of the game is to change the colour of the squares until the entire screen is a single solid colour. Starting with the square in the upper left corner you can change the colour of the blocks in order to match that of the surrounding squares. This is done repeatedly until the entire screen is a single colour. 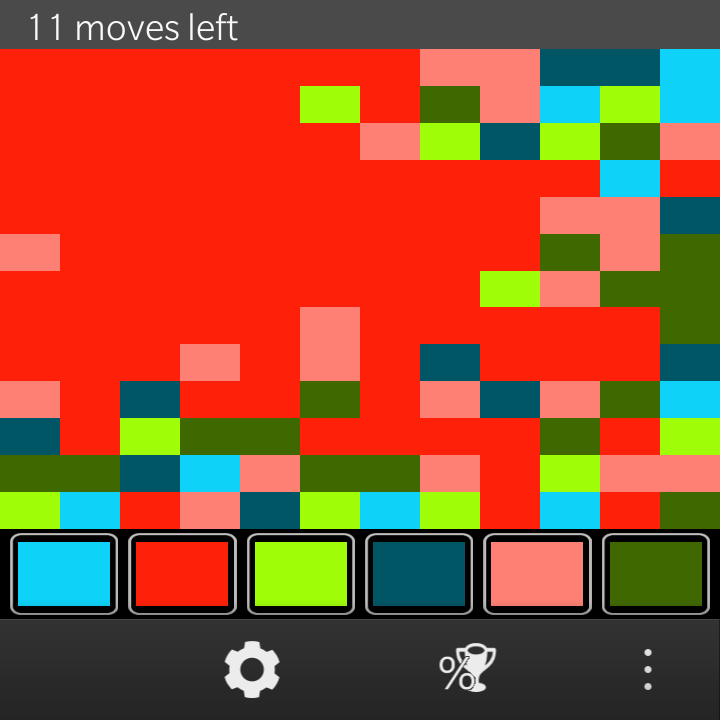 The object of the game is to clear the screen in as few moves as possible. Under the default settings you must do so in under 22 moves in order to win. The game is controlled by the large colored blocks on the side of the screen. This update to Pixelated adds support for showing a leaderboard (powered by Scoreloop) for not only the top scores of all time, but also the best scores over the past 24 hours. Also new in this version is the ability to see a preview of each color scheme inside the color changer on the options page. Additionally there have been improvements made to the sharing options for the app. The app now lists the actual new score when sharing a new high score message, or the number of earned achievements when using a generic share, while the BlackBerry 10 version of the app now also updates BBM profile boxes just like you get on previous BlackBerry OS versions.